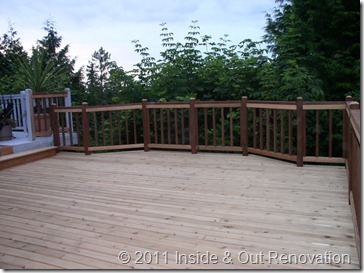 This Bothell customer wanted to have the all of the back side of the house attached to a deck. The home is on a slope and the customer frequently entertained so additional space was needed. Also, area for a wrought iron table and chairs was desired. 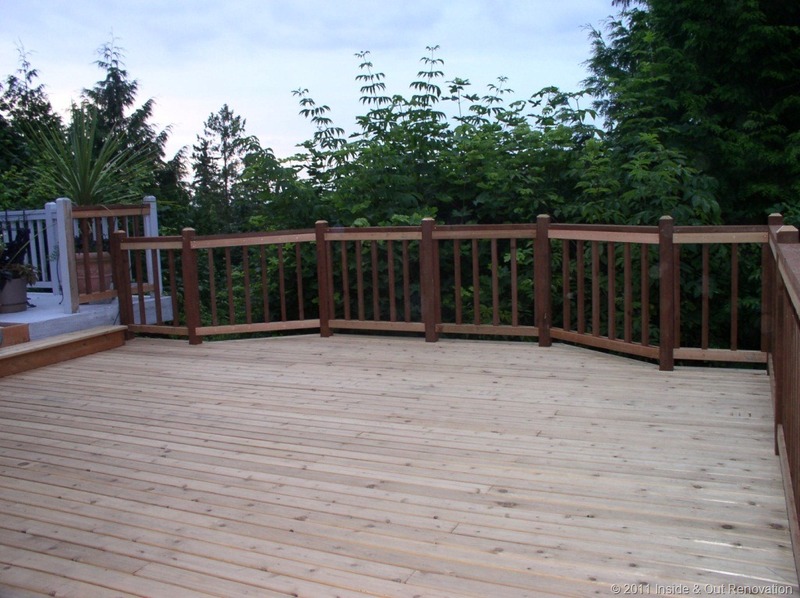 The deck was built from pressure treated lumber and cedar and will eventually be stained to match the existing deck.